Welcome to Kindergarten! 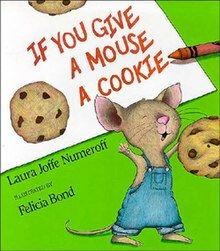 This year you will find the book character If you Give a Mouse a Cookie by Laura Numeroff on my classroom door. Room #: A107 stacy.lavrenz@delanoschools.org 763-972-6200 ext.1421 Welcome to Kindergarten!